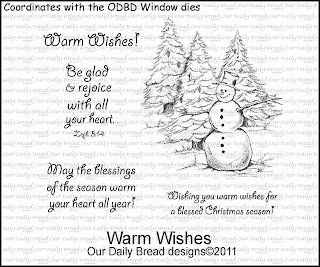 Th-INK-ing of You: May the Blessings of the Season warm your heart! This week's Shining the Light Challenge over at ODBD is Get Ready for Christmas! Today I am sharing a real sparkly Christmas card made with a gorgeous DIE from this month's release at ODBD, as well as a sentiment from a past release. I made this easel card with the ODBD Custom Fancy Ornaments dies (ornament and snowflake corners). I cut them from white glitter paper... and I love how this looks in real life. The dies cut beautifully, and I love that the little ornament hanger is cut separately. I cut this one from silver mirrored paper, and added a little tiny silver bow. 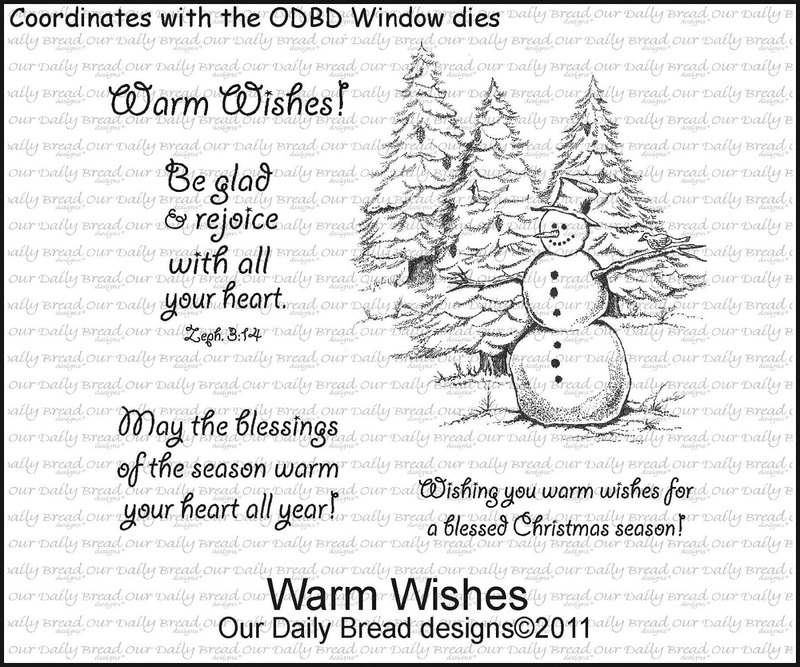 Inside, I stamped the sentiment from Warm Wishes, and cut it with Spellbinders Fancy Tags 2. I added a little bling but basically kept it very simple. Don't you LOVE these dies? I'm having so much fun with them! Love blue and silver Grace and you have made a beautiful card here. I love how you used the corner die on this to make the star shape.The glitter paper looks gorgeous with the blue background.I also love the sentiment on the SB fancy tags. Gorgeous card, Grace! Love all the sparkle! Your easel is stunning Grace!! I just love the blue with the white ornaments, the easel design and the sparkle!! So beautiful, great colors for Christmas card, too.